Collecting the entire Ce3d region makes data interpretation as straightforward as possible. • Ce3d region has well separated spin-orbit components (Δ=18.6 eV).
? ?Don’t peak fit it-just compare and maybe NLLSF?? The Ce3d spectrum from a pure CeO2 sample, for example, will have six visible components, even though there is only one chemical state. Most straightforward method for assigning Ce(III) versus Ce(IV) is to compare complete Ce3d envelope with reference data (see below). 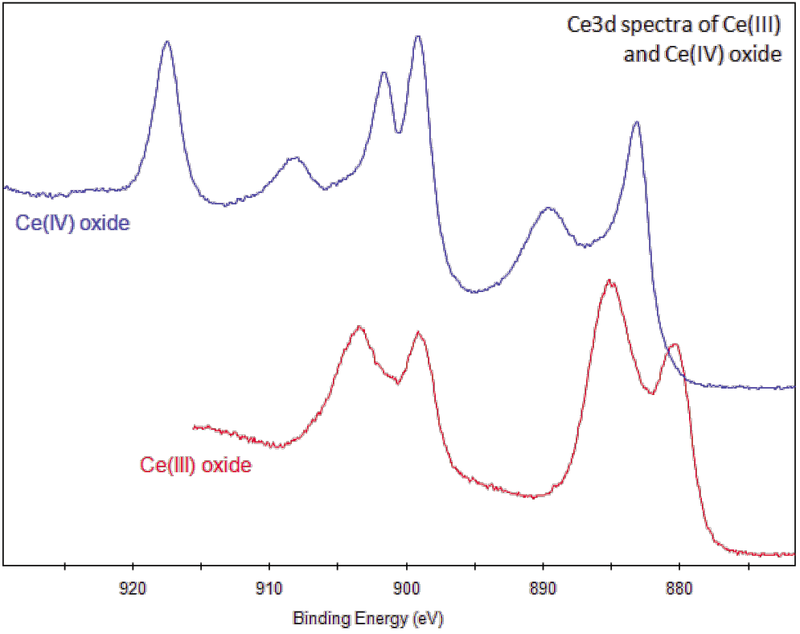 Ce(III) and Ce(IV) spectra have different multiplet splitting. 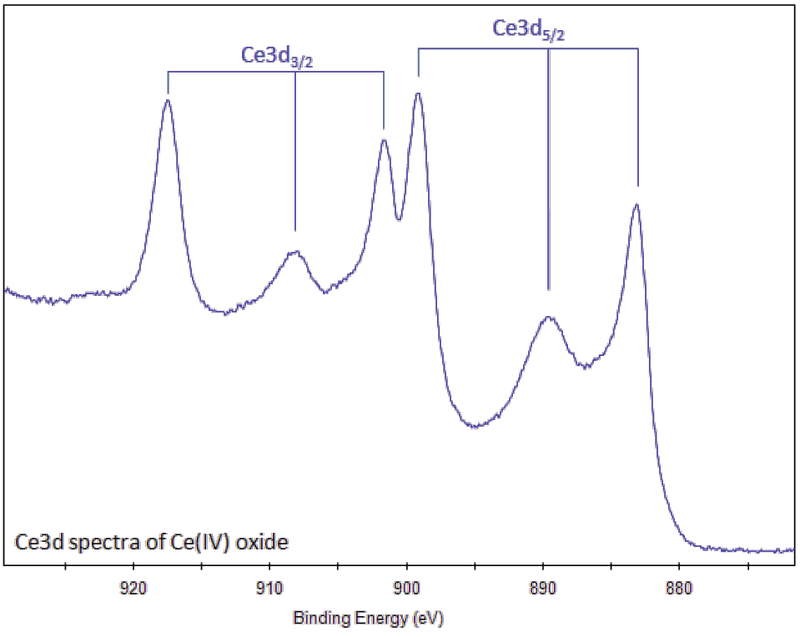 Ce(IV) has peak at 917eV which is absent in Ce(III) spectrum. Cerium, named after the dwarf planet Ceres, is a soft, malleable, and ductile metal. It is likely to ignite when scratched with a knife, and can ignite spontaneously in air at 65 to 80 °C. Its flames are toxic. Water should not be used to put out cerium fires, as its reaction with water produces hydrogen gas. 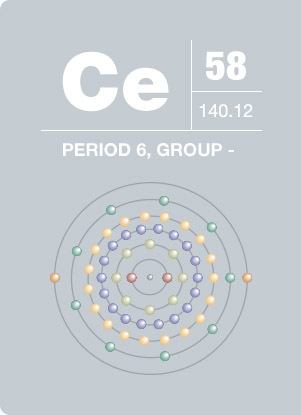 Although known as a rare earth metal, cerium is not rare at all. Available in large quantities, cerium is even more abundant than lead. This element is widely used in making aluminum and heat-resistant alloys.